At first glance, Excel seems like the perfect data analysis tool. It can carry out numerous calculations, is readily available, and can be put to good use when preparing budgets, forecasts, and various financial models. However, Excel has significant limitations that reduce the efficiency of your financial data analysis projects. The simple and user-friendly interface of Excel covers up performance limitations that can result in additional costs for your business. 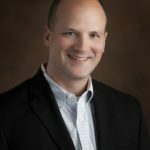 And because many large and small corporations have long depended on Excel for financial data analysis, reporting, and planning, it’s important to understand how Excel can be limiting. This information will help you make appropriate and timely changes to your financial data analysis tools. 1. Excel is not as accurate as you think. Perhaps the top reason why you should stop using Excel for financial analysis is that it isn’t as precise as you might think. A recent study uncovered that close to 90% of spreadsheets contained errors– including human errors, programming errors, and capacity limitations. For example, complex financial models that draw data from multiple sources are more likely to cause erroneous results in the Excel software. When using Excel, entering the wrong number into a single cell can throw off an entire spreadsheet- consequences that can result in extensive losses. Financial models are increasingly being used as a basis for future strategy- so you can’t afford to be inaccurate. 2. Excel limits visibility when creating complex models. Financial data analysis includes many different hypothetical scenarios. What if projected demand is lower than expected? What will happen if production costs increase? What if we experience downtime? Such potential situations need to be accounted for in advance to ensure proper planning. Excel is mostly two-dimensional, and it limits your ability to incorporate multiple variables at the same time. Merely using an X-Y model is no longer considered adequate at financial data analysis, budget preparation, or even risk analysis. 3. Excel makes collaboration more challenging. Older versions of Excel only allow for one user to work on a spreadsheet at a time. The user would have to finish their portion of the work, email the spreadsheet to another person, and wait for them to make appropriate changes. This method of collaboration is slow, inefficient, and unproductive. 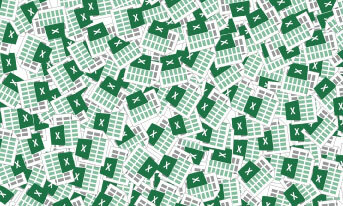 Newer versions of Excel do provide multi-user features, but they still tend to be limited when different people are pulling data from a single spreadsheet. Furthermore, the process of reconciling multiple versions of the same spreadsheet is inefficient and complicated. The challenge doesn’t end with real-time collaboration. What happens if you need to send a preliminary budget to management for approval? Emailing individual spreadsheets or workbooks can be a real pain, especially if the document is quite large. 4. Excel is inefficient in managing templates and data entry. When Excel was first introduced, it was so useful because you could create multiple templates for data entry. You could design a specific template, allow people to input data, and use this data to complete your financial models. However, templates tend to break in many different ways. You will likely receive your spreadsheet with extra columns or rows inserted, formulas edited, and many other issues that affect the quality of data. And the more time you spend correcting templates or verifying data entry, the less efficient your work becomes. Templates can also confuse employees when adding data or recording information. You may find yourself spending more time explaining a template format or trying to correct errors that were made weeks or months in the past. If you’re working on numerous projects within the business, you may find yourself with a worksheet for each project. Imagine having to modify multiple spreadsheets, email them out to appropriate personnel, and make changes as necessary. Keeping up with all your workflows can become a nightmare. Excel doesn’t have a native way of helping you manage multiple spreadsheets in a streamlined manner. You would have to keep track of workbook names, templates, and data so you don’t end up being confused or overwhelmed. This scenario increases the likelihood of human error during project management and data analysis. In light of these challenges, make the shift to more effective and resourceful platforms. There are many types of software in the market capable of collecting, analyzing, and interpreting data. In other words, you need resources that make it easier for you to uncover what the data is telling you- rather than spending time importing, exporting, or arranging data.